Single petals just like the original Knock Out® but in a beautiful shade of bright pink. And like the other members of the family, The Pink Knock Out® Rose is black spot resistant, drought tolerant and self-cleaning. It's a perfect companion to other shrubs, roses and perennials. 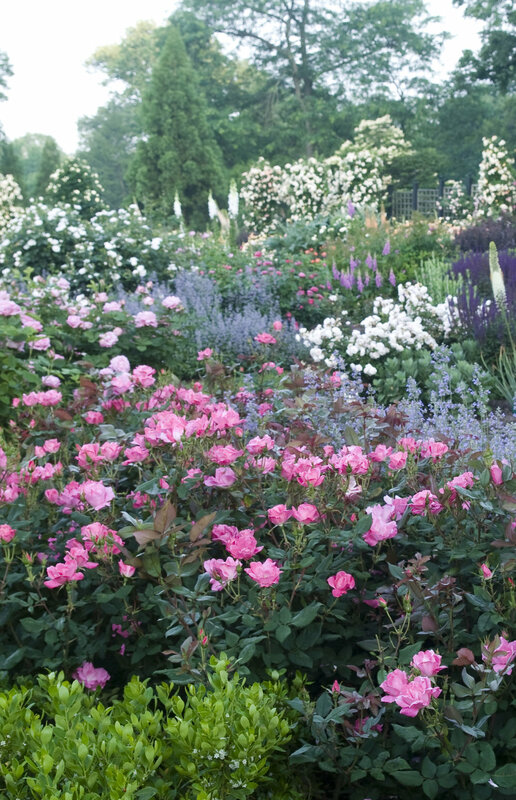 The Pink Knock Out® Rose is a very versatile plant. Plant it with any of your favorite perennials to have a garden bursting with color. Lavender - The light lavender blooms from the Nepeta contrast well with the light pink petals of The Pink Knock Out® Rose. Deep Purple - The deep purple flower spikes of Salvia ‘May night’ tie together with the deep maroon foliage of The Pink Knock Out® Rose. Pale Pink - Although the color is similar to that of The Pink Knock Out® Rose, a paler pink of any garden rose will soften the palette of your garden. White - White looks good with everything! The pure white color of a groundcover rose will create a bright pop of color.